Dust mites are microscopic bugs that consume dead skin cells. They are so small they can't be seen. They collect in areas that have high amounts of dust because dust is mostly skin cells. But because they're so small, they can't bite you or harm you directly. They can only create issues indirectly. Nearly every home or business has dust mites in it. They're like mold: they're very common in small amounts, but they only become dangerous when there are a lot of them. If you have a lot of dust on your property, the dust mites can proliferate quickly. Many people are allergic to dust mites. For those who have asthma or have compromised immune systems, this can be dangerous. The more dust mites there are, the more serious the allergic reaction can become. And once dust mites start to infest your house, it can be difficult to get rid of them. These allergic reactions can ultimately lead to difficulty breathing. It's particularly dangerous for children and elderly adults, but it can be dangerous for anyone who has lung issues or asthma problems. Since dust mites can be anywhere dust is, getting rid of them can be work in and of itself. There are a few things that you can do, though, to make sure they don't get too prolific around your home. Add a dehumidifier to your home. Dust mites like warm, moist spaces, so if your home is dry, you'll have fewer dust mites overall. Wash your sheets frequently. Mattresses are one of the most significant vectors for dust mites. Washing your sheets frequently will get rid of them. Dust, vacuum, and sweep regularly. You should be cleaning your home either daily or every other day if you have dust issues. Get your ducts and vents cleaned. Change your air conditioning filters frequently and consider purchasing air purifiers. Wash your carpets professionally. Every six months or so, you should get a deep clean of your carpets to reduce dust. If you've been having allergic reactions in your home, or if you've been having trouble breathing, dust mites could be the answer. You may need to take action now to reduce the dust around your property. Contact Dust Doctors to get started. 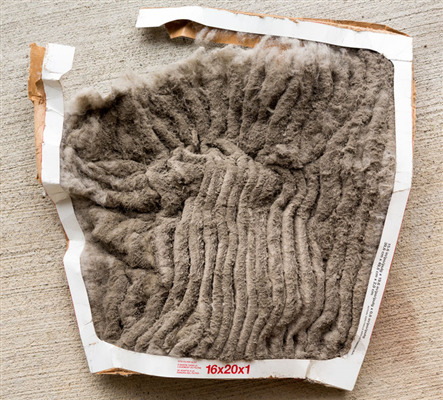 « Which Allergens Are Hiding In Your Vents?